I wonder if any other alcoholic drink has had such a chequered career as gin? Over the centuries, its fortunes have been up and down – but it is definitely on an up these days. Gin is currently hugely popular with drinkers. Boutique distillers have sprung up everywhere, each creating their own distinct flavour profiles, but I doubt any can boast that they have done as much good for the local environment as Cape Byron Distillery, near Byron Bay. 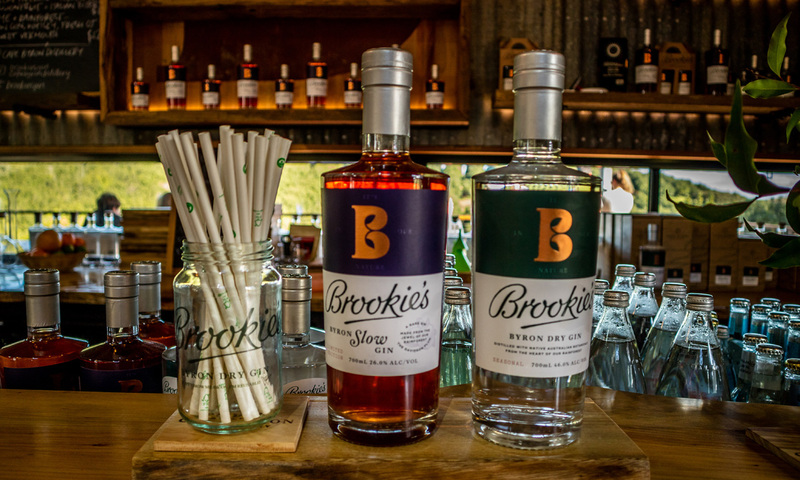 Owned by the Brook family, the distillery is established on the family farm in the Byron Bay hinterland. What was once a ruthlessly cleared and rundown dairy farm was purchased 30 years ago by Pam and Martin Brook, who doggedly set about regenerating the original subtropical rainforest. This region was home to the largest subtropical rainforest in Australia, known as the Big Scrub, 99 per cent of which was destroyed within a decade of white settlement. 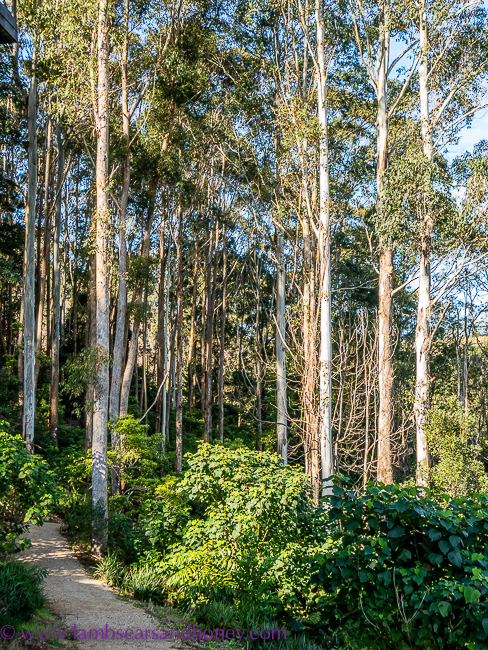 Cape Byron Distillery lies in what was the heart of it and Martin Brook is committed to the local Big Scrub landcare group, which has as its mission the preservation of what is left. 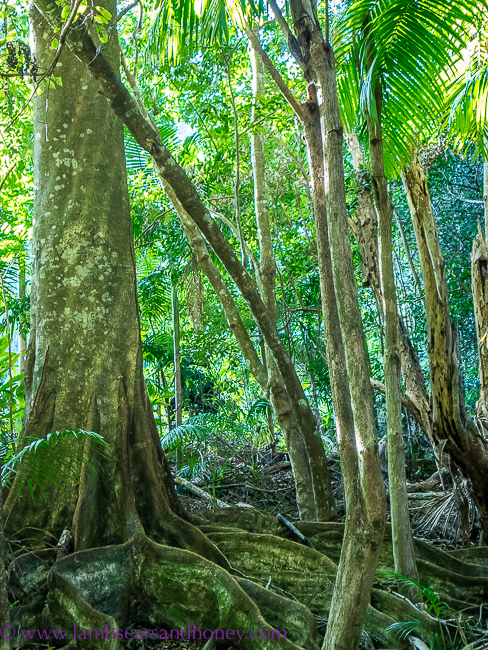 Over the years the Brooks have planted more than 35,000 subtropical rainforest trees; as well as creating a home for birds and wildlife, it is the source of 18 of the 26 botanicals used in their Byron Dry Gin. The distillery and cellar door are nestled in the midst of this lush growth, and visitors can enjoy a tour of the forest, discovering the plants that give the gin its regional flavour. Alternatively, they might simply choose to purchase one of the range of cocktails on offer and sit back on the wide deck, taking in the expansive view out over the regenerated forest. Fortifying ourselves with a welcome Brookie’s and tonic, we wandered out with our guide to discover the rainforest, ambling through the lush, cool growth, having the various botanicals pointed out to us and smelling them fresh in situ. We then headed back to the distillery to be introduced to George, the custom-made copper still, and guided through a sensory tasting experience as we explored the flavour profiles of this distinct gin. We were introduced to the principles behind distilling, alongside a selection of the various botanicals used, as we tasted the end products – including the unique Brookie’s Slow Gin. Made in the style of the traditional English “sloe” gin, this truly local product showcases the native Davidson Plum, which is indigenous to the region. The fruit is steeped in the gin in a huge vat for seven months, before being filtered, blended and bottled. Visitors who opt for the tour get the chance to taste this Australian spirit both before and after bottling. Bookings are a must for the tour, but it’s well worth it. This is a special opportunity to meet the passionate faces behind a unique family business, discover local flavours and learn a little of the botanic history of this beautiful region of northern NSW. But take care if you are the designated driver! South Australian writer Amanda McInerney writes about travel and food on her Lambs’ Ears & Honey blog, where this article was originally published. She was a guest of Cape Byron Distillery for this tour.